It’s Bare Escentuals 35th Birthday and what better way to celebrate than to release a new Collection? The five-piece Bare Escentuals Love & Happiness Collection features customer favorites and new products. Read on for my review! Sometimes when you get a collection of products, you get 1 or 2 that are really great and the rest turn out to be “meh”. Not with this collection! 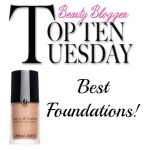 I’ve been wearing it daily because I absolutely love each and every product! Favorites? Hard to pick. The All-Over Face Color adds the perfect amount of warmth to your complexion. Another favorite is the Prime Time Brightening Eyelid Primer in Sunlight–a gorgeous shade that you could wear alone or under Queen Phyllis Matte Eyecolor, which is a butter cream shade. 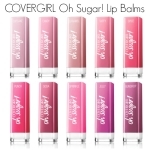 The Best Friend Lip Balm is a berry color that really brightens up your whole face. I think Bare Escentuals makes some of the best pencil eyeliners and this Big & Bright Eyeliner in Oz (emerald green) helps to really make your eyecolor pop. The “XOX” Charm is a cute bonus! 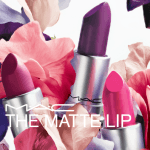 Don’t miss the limited-edition Bare Escentuals Love & Happiness Collection. It retails at $35 and is available now exclusively in Bare Escentuals Boutiques and online at www.bareescentuals.com. 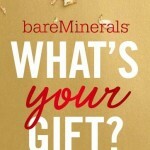 Bare Escentuals Holiday 2010: Swirl, Tap & Buff Your Holiday Gift List! 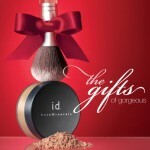 bareMinerals is READY for the holidays (and a fab TSV on QVC!)! Love the idea of having these in one collection. 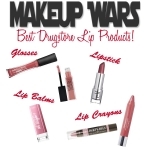 I’ve been wanting to try Bare Escentuals and this looks like a great way to be introduced!